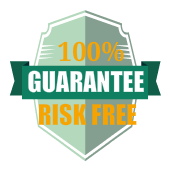 We use copper sulfate on your water surface to reduce the algae growth. 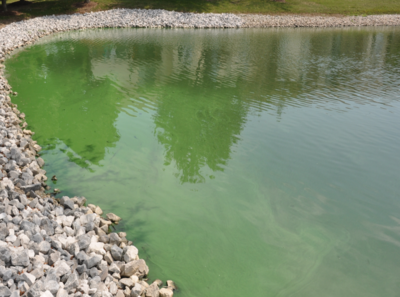 Black dye colorant is added to your lake or pond to shade the water and prevent further algae blooms. This process is usually done in eight scheduled visits or every three weeks from April through September. These visits will help keep the algae under control. Unsightly algae taking over this shallow pond. 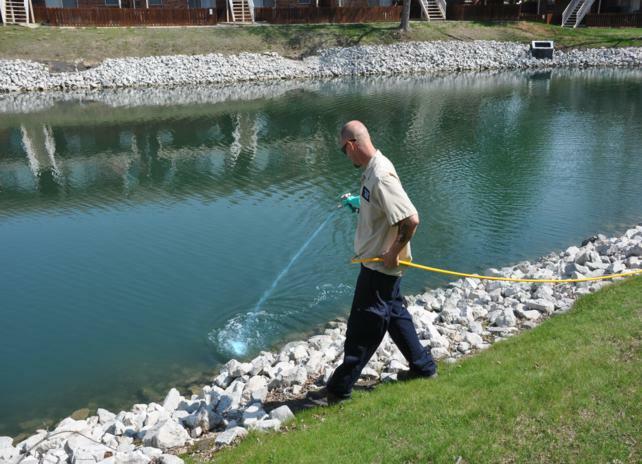 Application of an aquatic herbicide with blue colorant to treat unwanted algae.